SITA are a long established supplier of UV's. Their products range from 6 m3/hr to 550 m3/hr and are designed for a wide range of UV applications. Sita UV LCD Rack range treats flow rates from 6 to 40m3/h using 80 w low pressure lamps. 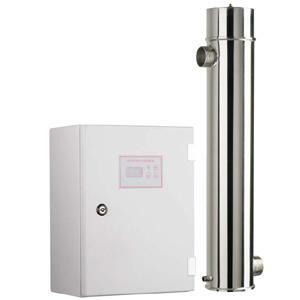 These units are made up of a Stainless steel reactor that contains the special germicidal lamps plus a control panel, made in compliance with the CE standard. Available in 3 different industrial Series which distinguish themselves for the capacity of water treated and their functionality.